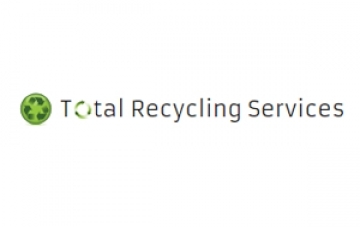 Total Recycling Services (TRS) is one of the UK’s leading waste management providers employing over 90 skilled employees in Darlington. The company mission is to promote and encourage a zero to landfill approach to waste management. TRS currently turns over 14 million pounds and has ambitious plans to continue to grow as a business. Unlike many other waste management companies who tend to specialise in either hazardous or non-hazardous wastes TRS have considerable experience in both. Having brought together directors, managers and key personnel from both industries. This gives TRS an in depth understanding of the waste management industry as a whole. By combining this experience with expert knowledge of environmental best practice, the company are able to provide a professional approach to waste management and recycling services. As they experienced further growth, Total Recycling needed a Business Development Manager responsible for driving business growth in industrial services in the North of England. This was a high visibility role reporting directly to the Commercial Director, and required a high performing individual who could develop relationships with key suppliers as well as existing and new customers. In addition, Total Recycling needed someone with a credible hazardous waste and industrial services background, and turned to Newman Stewart because of our expertise in this area, having failed to find a suitable candidate in-house. Newman Stewart used a combination of approaches including executive search and management selection utilising our large network of Waste Management professionals. Very early on in the process we headhunted an exceptional individual with a proven track record in the waste sector. The candidate was put forward for the role and offered a position within a very short timescale. Consistent communication with the client throughout meant that we had a good understanding of their objectives and knew exactly what they were looking for. It also meant that when we found a candidate so quickly, they trusted that this was an exceptional candidate who could deliver results. A key Sales role fulfilled very quickly meant that Total Recycling did not waste time and resources looking around for candidates themselves, reduced the risk of a bad hire, and increased time to productivity for the business.